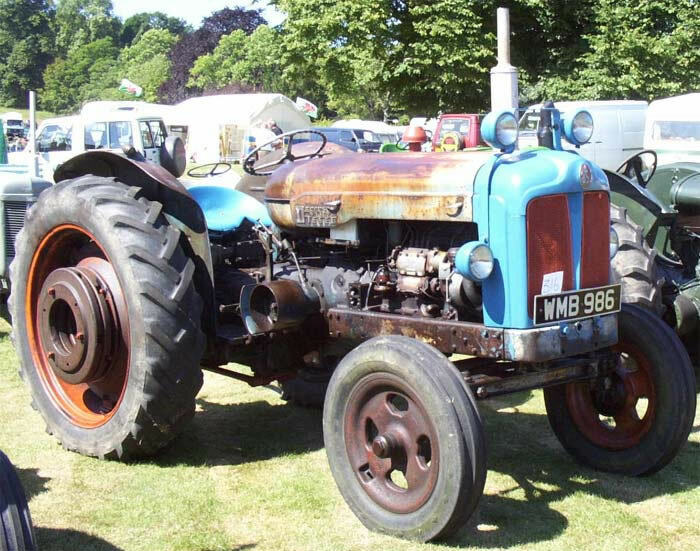 The Fordson Major E1A Tractor was launched at the 1951 Smithfield Show. Design had started in 1944 with one basic engine that could be built for diesel, petrol, or vaporising oil. The new tractor was in the 40 h.p. range with a totally new overhead valve engine. To equalize the power, the bore was larger for the diesel to increase engine capacity from 3,260 to 3,604 cc. The tractor was larger and heavier than the E27N it replaced. Transmission was via a single plate clutch with six forward and two reverse gears and spur gear final drive.